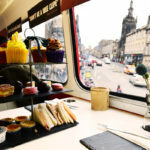 Enjoy a fantastic day out in Scotland’s capital city with a visit to the iconic Edinburgh Castle and afternoon tea served on board a vintage red, double decker bus with a glass of Prosecco to add a little sparkle. 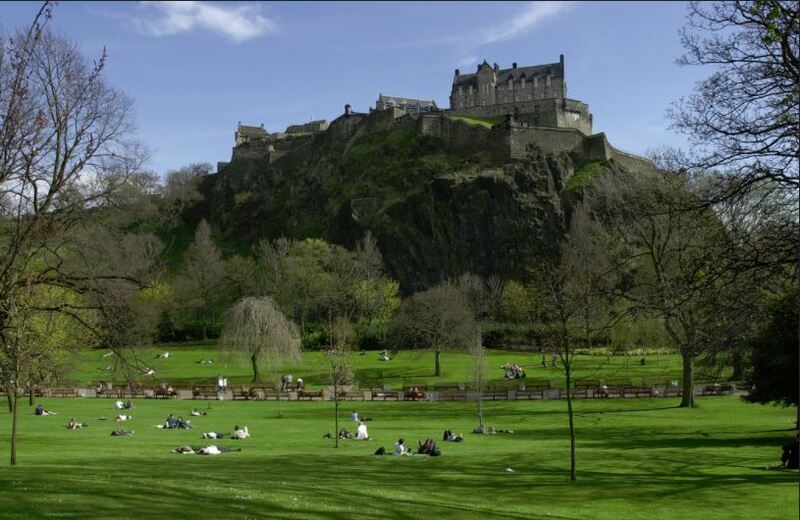 Perched on top of an extinct volcano, Edinburgh Castle stands high above the city. 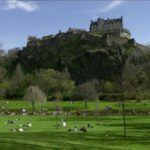 With unparalleled views that encompass Edinburgh’s beautiful Princes Street Gardens, Georgian Terraces and the blue waters of the Firth of Forth it’s a perfect location to see Edinburgh in all its glory. Dating back to the 16th century, the Castle has served as a fortress, military barracks and royal residence. 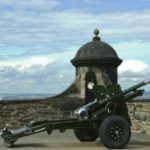 Once inside the castle you can visit St. Margaret’s Chapel, The National War Memorial and the Half Moon Battery, not forgetting the magnificent Grand Hall and Scotland’s Crown Jewels, including the famous Stone of Destiny. 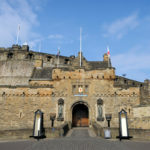 If you are brave enough you may even wish to venture down to the eery Edinburgh Castle Dungeons. Following your visit to the castle, climb aboard for a traditional afternoon tea and glass of Prosecco taking in the best of the city sights. 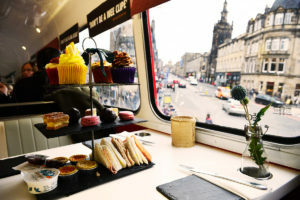 From the Palace of Holyrood House at the foot of the Royal Mile to the cobbled Georgian terraces in the north, this roving afternoon tea bus tour allows plenty of time to discover the sights and enjoy a traditional dining treat. 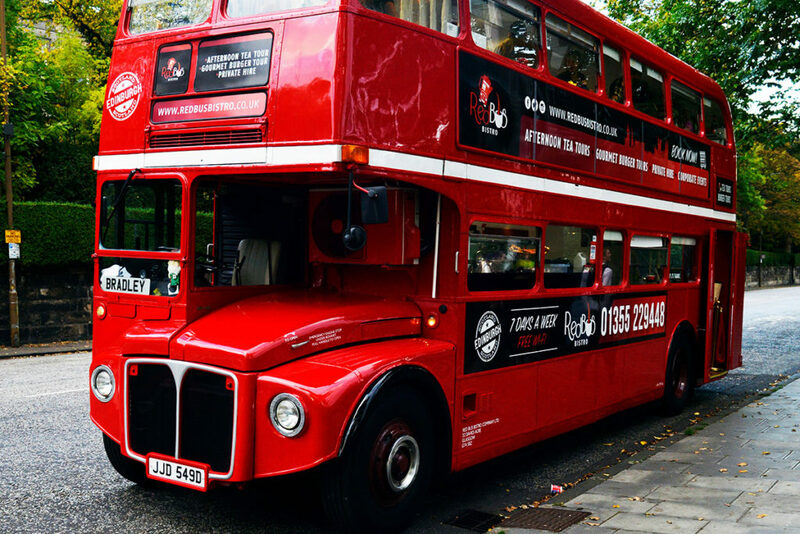 This Edinburgh Castle & afternoon tea vintage bus tour is a brand new tour for 2017 courtesy of Virgin Experience. Priced at £119 for TWO it has all the ingredients for a special day out in what is undoubtedly one of the most beautiful city’s in the UK and rightly deserving is position as a World Heritage Site. 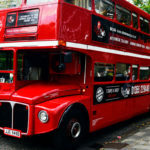 You should allow 2-3 hours for your visit to Edinburgh Castle and the vintage afternoon tea bus tour lasts for 90 minutes. Children from the age of 6 are welcome. For further information and details of how to book, simply select the Book Now button.